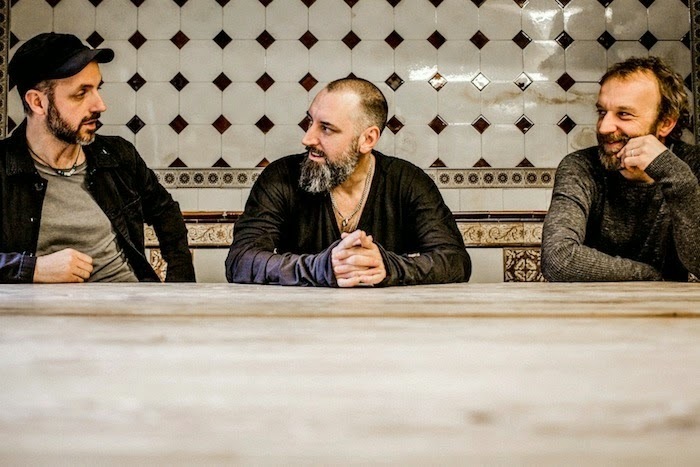 In the lead up to their brand new album 'Hard Believer' out this month, Fink return with an official video to coincide with its release. Directed by visual conception duo Wolf&Lamm the pair go on to describe their effort by taking a literal approach to ‘Looking Too Closely’. Take a watch above and read what the guys had to say on the clip below. "The story starts with a microscopic view and emerges to an extreme long shot using a camera attached to a drone. Nothing is like it seems to be, unless you see the full picture. With this concept, we are connecting the technical course of action with regards to the content and a twist. To begin with, we captured microscopic images of Fin, which will generate an unusual cinematic language. Starting with his beard, we show detailed shots of individual hairs. By using macro lenses, each hair appears grand and gigantic, reminding of a forest. Arm hairs lift up. Continued with his eyes, his iris will fill out the entire screen, mighty eyelashes flapping, a field of pores lies before us. Huge nostrils, followed by the corners of his mouth and pulsating veins. We go in between nature and body. Small elements of the naturalistic surroundings, captured through a microscopic view. Blades of grass, appearing enormous and the massive drop of dew on a leaf. A super close up of his guitar and a swinging string. In time, we distance ourselves more and more from the scene, revealing Fin and the band. At first, it appears as if they would be surrounded by an endless nature until we take a step back. The further away we go, more is revealed. Fin and the band standing on a small island of green surrounded by an urban world. Eventually the camera is leaving the scene behind and is flying away".